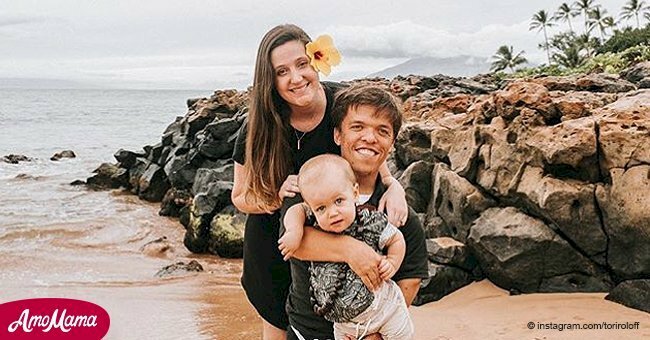 Tori and Zach Roloff have formed a beautiful family with the arrival of their baby Jackson and will not allow anyone to try to overshadow their happiness. 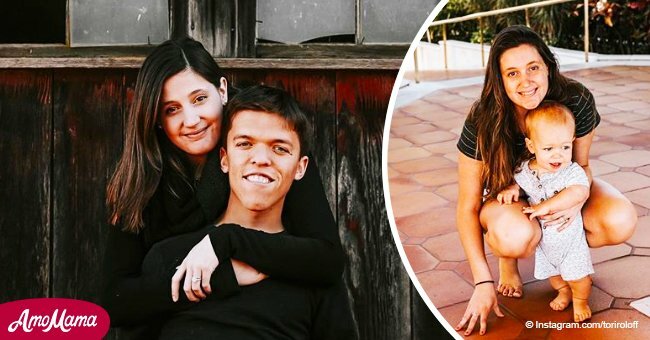 Recently, Tori Roloff decided to take a step before the mommyshamers with a publication on Instagram in which she said that her baby no longer uses the baby bottle, and thus she closed the mouth to anyone who came wanting to criticize. 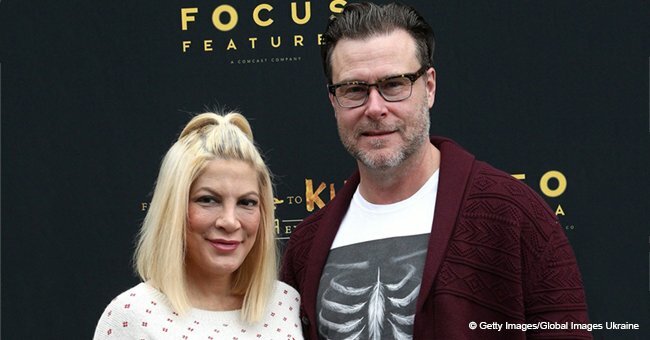 Tori's comment emerged as an early response to those who use social media to carry out destructive criticism regarding their way of raising their little Jackson. 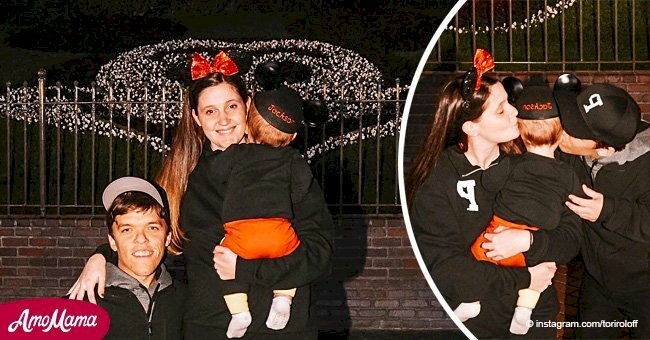 Apparently, the couple had published a funny picture in which you can see Zach using a baby bottle, and although the intention of the picture was simply to amuse their followers, Tori wanted to clarify that the bottle does not belong to Jackson. 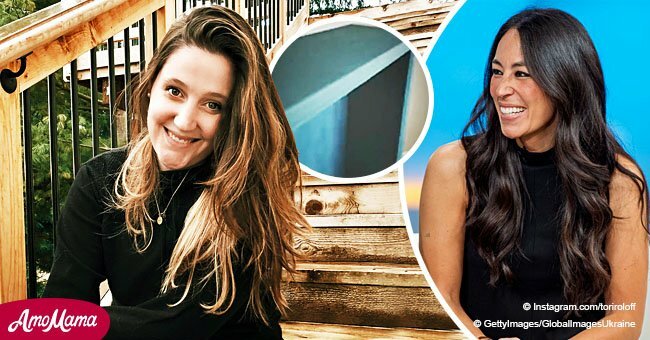 The young couple belongs to one of the most famous families of television, so they are in the difficult situation of having to face unpleasant comments every time they make a publication on social media. Follow us on our Twitter account @amomama_usa to learn more. Although it is better to turn a deaf ear to foolish words, when it comes to their children, it is difficult for a mother not to react and seek to defend herself from those who have nothing else to do but give negative comments. Fortunately, Tori and Zach are already quite accustomed to this unpleasant type of people and they know very well how to keep them on the sidelines. When they are not criticizing and wanting to embarrass these new parents, these followers use another terrible strategy; that of generating rumors about news that they invent themselves. As happened a few months ago, when rumors about Tori being pregnant for the second time. Tori had to use social media again to silence the rumors that she was expecting her second child. In response to the false rumors, Tori reprimanded her followers by telling them that it is very dangerous to assume that a woman could be pregnant just because of her appearance. According to Tori, a woman could have a problem with her weight and self-image and such a comment would only make her feel worse. It could even be a woman with a fertility problem and being asked if she is pregnant would be like throwing salt on the wound. Motherhood is a very significant stage in a woman's life and in these moments are when they need more support. For that reason, Tori continues to share photos of her family life so that those moms who need a little more understanding can feel identified.